1/25 Russian Tank SU-100 model Tank Kit Discounts Apply ! 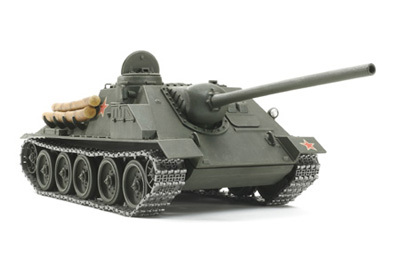 Russian SU-100, 1/25 scale plastic model Tank Kit. This is a Limited edition 1/25 scale plastic model kit. New parts to depict wooden logs have been especially included for this re-release. Moveable torsion bar suspension features same construction as seen on the actual tank. Each hatch can be open and closed. Realistic link-type assembly tracks included.